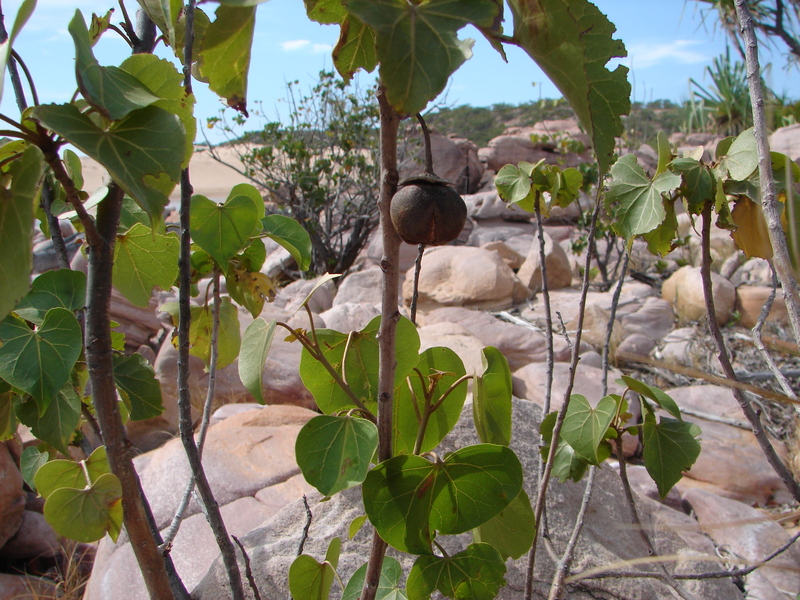 Small deciduous shrub, yellow flowers along coastal rocky country, large brown pods with layers of hard black seeds enclosed. 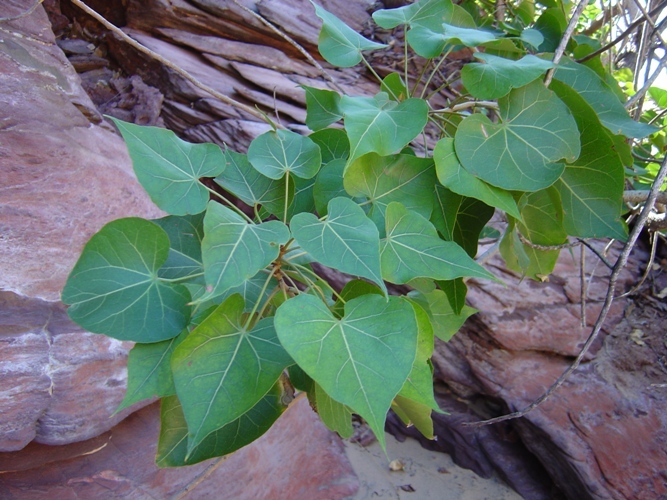 Leaves are glossy and heart shaped. This entry was posted in Thespesia and tagged Thespesia populneoides. Bookmark the permalink.